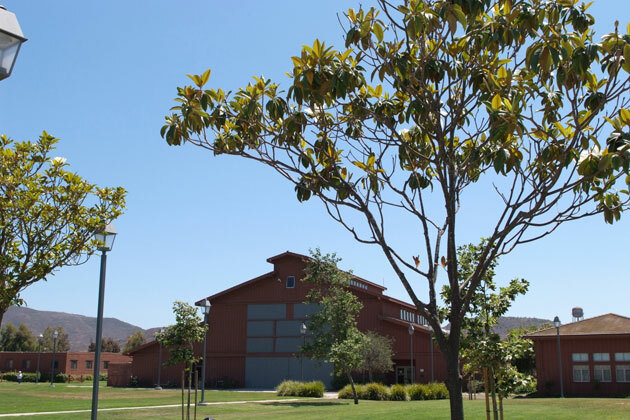 In the mid-1980s, a group of Ventura County citizens became concerned about the lack of services for children removed from home by Child Protective Services. That concern evolved into a vision for a campus-based, 24-hour center offering a wide range of assessment, crisis care, medical, and educational services for abused and neglected children. The vision, in turn, spawned a creative public/private partnership that raised $10 million needed to build Casa Pacifica Centers for Children and Families. In 1993 while the campus was under construction, the Casa Pacifica steering committee - comprised of members of both the public and private sectors - focused on how to configure and finance an appropriate set of services for children requiring emergency shelter care and assessment. Through an extensive data analysis another priority population surfaced - children requiring out-of-home placement who were being sent to other California counties, and even out-of-state, because of a lack of local services. In response to this new information a strong consensus emerged - Casa Pacifica should be designed to meet the needs of this second priority population. Consequently, in addition to providing services to children requiring emergency shelter care, a residential treatment program and non-public, special education school were added to the program mix. Casa Pacifica opened its doors to abused, neglected and severely emotionally disturbed children in the summer of 1994. Two years later the on-campus, special education non-public school began to serve day students in addition to those living on campus. Starting in 2000, Casa Pacifica began implementing in-home services to better serve high-risk children/youth that required intensive family-centered supports. This expansion into the community extended into Santa Barbara County in 2003 and now includes three community based programs in both Counties – Therapeutic Behavioral Services, Wraparound, and Crisis Mobile Reponses Services for children and adolescents. In Ventura County two more programs have been added—Supportive Behavioral Services, a program aimed at preventing serious behavioral and social problems, and Family Finding, a service helping to find and engage family members of children deemed to be the lonest in the system. In all of our community programs we go to where families are, they do not come to us. Today, less than 20% of total program revenue comes from bed-based services on campus and of the 440 children we serve every day, approximately 350 of them live with their families or foster families in the community. While each of these programs provides a different mix of services and interventions, all share the same over riding objectives – help children stay safe, at home, in school, and out of trouble.